Are You Still Connected to Sigma? Scrolling through Facebook or Instagram may seem like a great way to maintain connections with your Greek Brothers. 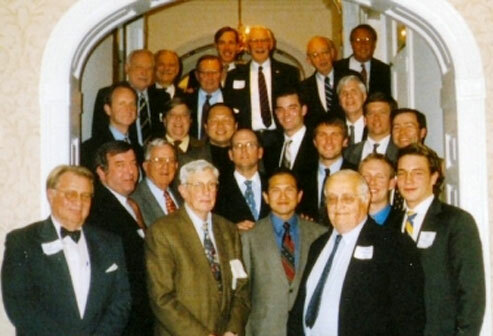 But social media will never replace the face-to-face interactions that the Sigma brotherhood was based on. So, for 2019, make plans to interact with others beyond technology. Here are a couple ways to start connecting with Sigma alumni and the actives outside your screen. One of the best things about being a Sigma alum is the events made available. 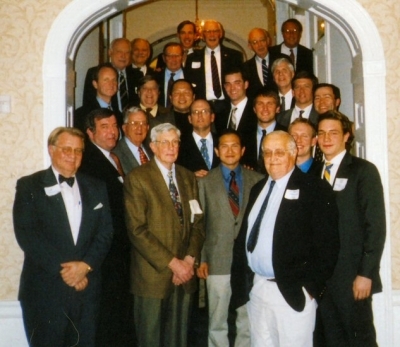 Some of next year’s highlights will be this coming April’s Alumni Spring Banquet and Squash Round Robin, Homecoming on November 9, 2019 and at least 2 Sigma Speaker Series at the Chapter House. Most of these incredible events are hosted in exciting and beloved venues. By attending these events, keeping in touch with your fellow alumni, and meeting the actives, it is easier to give back to your Chapter. Whether it includes updating your information on an email list or a newsletter subscription, be assured that this is the easiest way to keep up-to-date with the latest news. Learn about all the different opportunities and growing network of alumni from all over the country. This is also the prime way to discover the wide variety of events hosted by your Chapter. Through these correspondences you can also learn about the amazing work done by chapter alumni in a range of different fields from science and research to art and education. So, with just two simple steps you can become a more active member in your community. Go ahead and take the leap! Click HERE to complete an updated contact form.